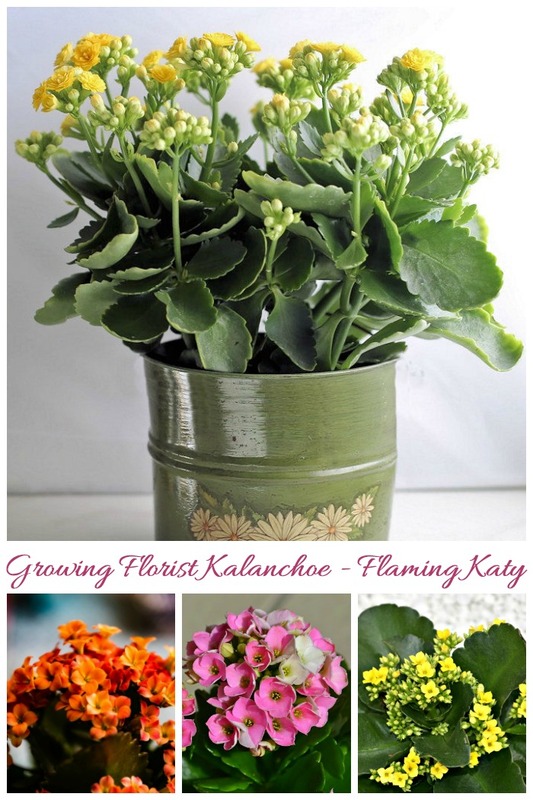 Flowering kalanchoes are plants that are often seen around the holidays and in the winter months. 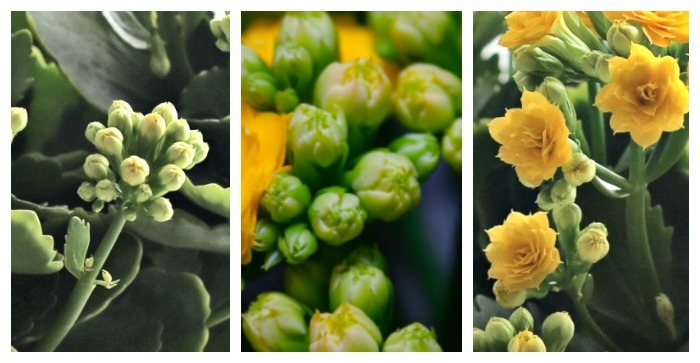 The plant is also known as Florist Kalanchoe. 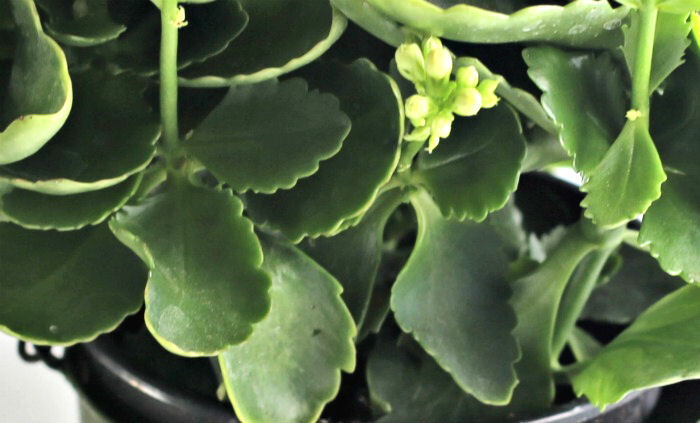 These tips for kalanchoe blossfeldiana care will show you how to care for and get this plant to keep blooming all winter long. Winter is a time for dormancy for many plants. But not so, it seems, with this succulent plant. This pretty indoor plant is found in big box stores and florists when it is cold outside and not much else is in flower. It has cheery clusters of blooms on upright stems. The plant is sure to bring a pop of color indoors. 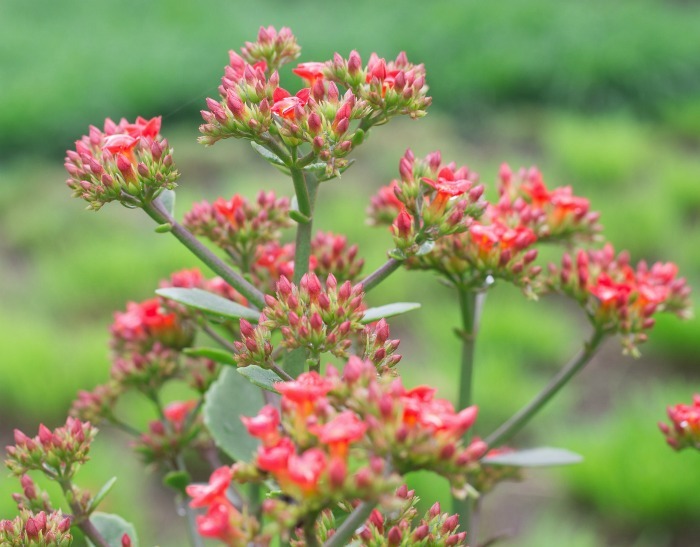 The blooms of kalanchoes happen as a response to short day length, just like their holiday cousins poinsettias. cyclamens and Christmas cactus. Even though we often find them in flower this time of the year, just follow these tips for keeping your plant healthy and blooming for years to come. Kalanchoe blossfeldiana is a succulent that is a native of Madagascar. Common names for the plant are Christmas kalanchoe, florist kalanchoe, Flaming Katy, and Madagascar widow’s thrill. The plant will grow to about 1 1/2 feet tall and wide and is ideal as a houseplant. The upright version of the plant is the most common form grown but there are other varieties, as well. Some are non flowering varieties grown for their foliage and others have a more drooping growth habit that makes them great for hanging baskets. 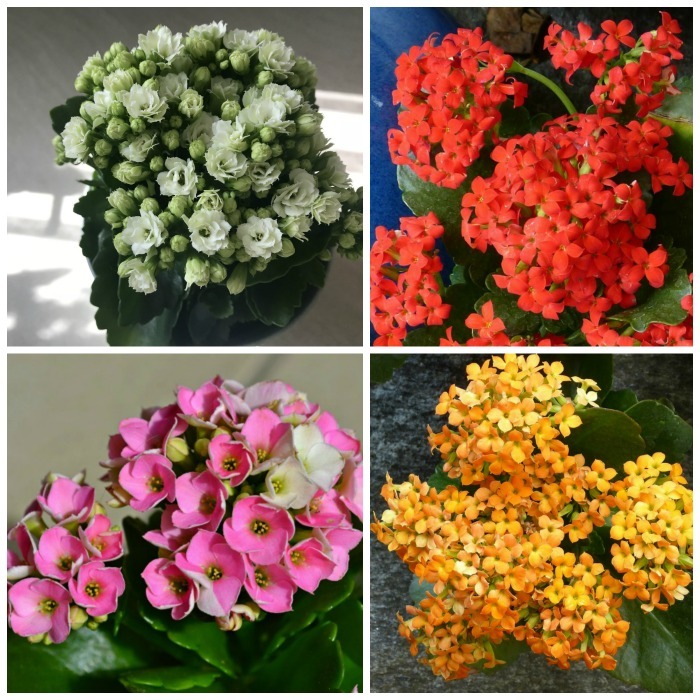 No matter the type you choose, all kalanchoe plant care is the same. Follow these tips to get the most out of your plant. All kalanchoe varieties need ample sunlight. A south facing window in winter is best and the more filtered light from an east or west window in the summer months is preferable. If your plant starts getting very tall with lots of space between the leaves on the stem, this means that it is reaching for the light and that you should move it so that it gets more sunlight. Doing so will reward you with more blooms and the ones that you have will last longer. This is definitely not a plant for a north facing window in winter! Keep the plant away from drafts and not too close to the window itself, particularly in the winter when the glass is very cold. Kalanchoe blossfeldiana is a tropical plant which is very sensitive to cold and can chill easily. It is best to keep the temperatures near the plant above 50 degrees. The idea temperature range is 65-75 degrees F. This means that if you place your kalanchoe outdoors in the summer months, be sure to bring it indoors before there is a chance that night time temps will drop below this. Choose a well draining cactus or succulent soil for your kalanchoe houseplant. If you can’t find this, add some sand or perlite to normal potting soil so that the water will drain more efficiently. When the plant is actively growing and flowering, feed it with an all purpose, well balanced fertilizer that is high in phosphorus (to promote more flowers) every two weeks. One of the biggest problems that people have when trying to grow kalanchoes (and many succulents) is that they over water them. Water the plant and then allow it to dry out well before you water it again. The plant can easily go 2 weeks before it needs watering again. Kalanchoe blossfeldiana stores water in its waxy leaves. This is a great way to deal with drought in its native habitat. Water thoroughly, allowing the excess water to drain out the bottom into a saucer and then remove the extra water. I like to water my plants in my kitchen sink so that they get a good soak and I don’t have to worry about the extra water on furniture. Don’t leave the kalanchoe plant sitting in a saucer of water. Kalanchoes can rot easily. Do you like plants for free? Then you are in luck. The plump, waxy leaves of kalanchoe blossfeldiana are easy to propagate. You can also pot up entire pieces of the stem tips to get new plants even sooner. For best results, choose leaves that are firm and plump. Shriveled, thin leaves will dry out and not send out new babies. 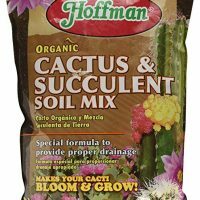 Dry out the leaf tip, dip it in rooting powder and plant in cactus soil or seed starting mix. New plants will grow in a few weeks and can be planted up in their own pots. Check out this post to learn how to propagate succulents cuttings from leaves. 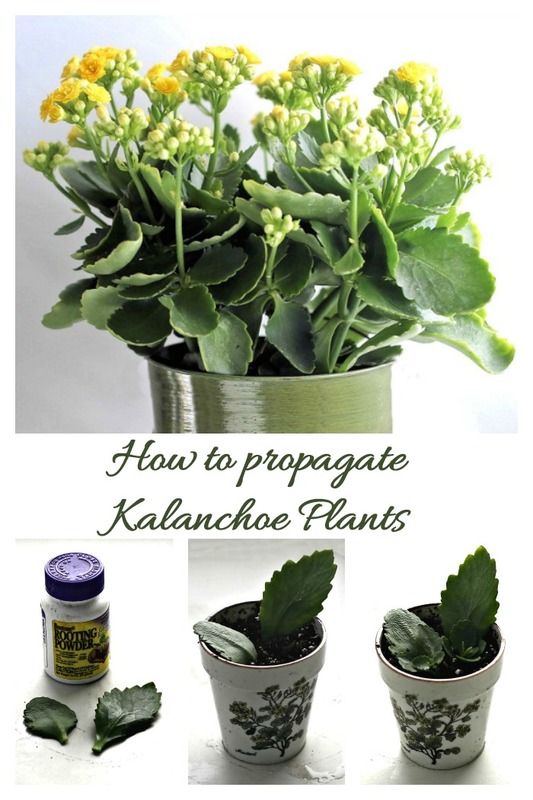 It is very easy to do and the process will give you tiny baby kalanchoe plants in no time at all. 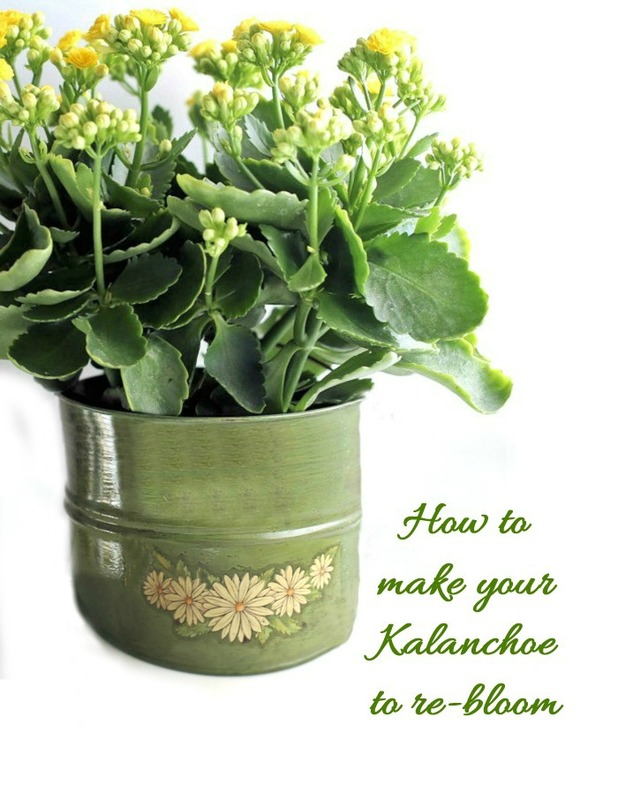 If kalanchoes become root bound, they will sometimes send out offsets – tiny plants that can be potted up. Just remove them from the mother plant and add to new soil and you’ll have a plant giving new growth in a few weeks time. Since this plant is often treated as a house plant, there is not much maintenance involved. Remove the spent flowers (called dead heading) to keep a tidy appearance. Also, plants that are grown indoors can accumulate dust on the leaves, particularly on a large leafed plant like kalanchoe blossfeldiana. Wipe the leaves monthly with a damp cloth or gently spray them with water at watering time to remove dust. 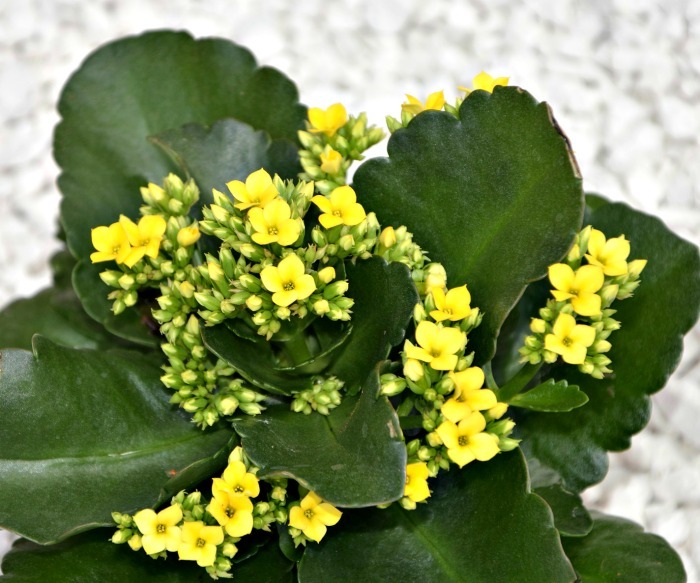 Kalanchoe blossfeldiana is toxic to both dogs and cats. The ASPCA advises owners to take care growing it around pets and to call their vet if the animal has loose bowels or begins to vomit. 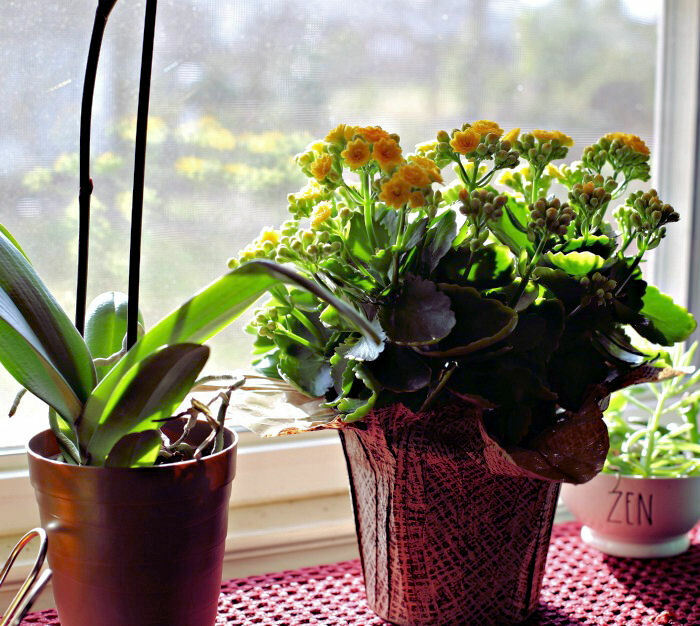 if you are lucky enough to live in zones 9-11, your florist kalanchoe will happily grow outdoors year round. In other hardiness zones, you can keep the plant outdoors in the summer and treat it as a houseplant during the colder months. 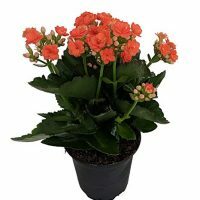 Kalanchoe plant care outdoors means protecting it from the harshest rays of the sun and being careful to have it in a slightly sheltered location if you get a lot of rain. Kalanchoe succulents are relatively easy care plants with few diseases and pests. When you are watering the plant, check the undersides of the leaves for mealybugs, mites and evidence of scale. The plant is susceptible to stem rot if they have been over watered. Most succulent plants are grown for their foliage, but flaming Katy is chosen because of its beautiful long lasting flowers. This pretty succulent with its waxy green leaves comes with a variety of colors from pure white to all shades of pink, red, orange and yellow. The flowers are very long lasting and open gradually so that you’ll have a display of color for many weeks on end. It’s not unusual for a single plant to bloom for 2 to 6 months. The reason is because each kalanchoe flower umbrel consists of many small flowers which open one at a time giving weeks and months of color. When you buy a plant, try to get one with a lot of unopened buds on it. This will ensure the longest flowering time for your plant at home. 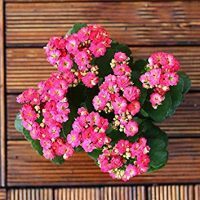 If you like cut flowers in your home, but don’t like the cost of buying fresh flowers each week, try growing kalanchoe blossfeldiana. You’ll get the color for the price of one bunch of flowers but have them for many weeks. 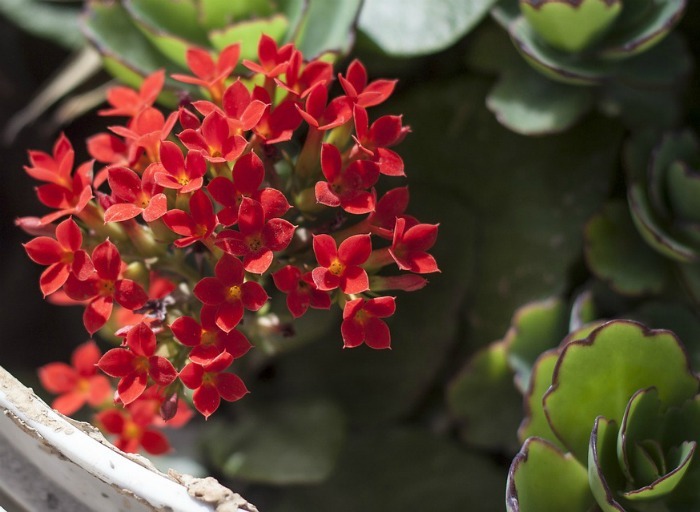 Once you have mastered these kalanchoe blossfeldiana care tips, you’ll want to know how to get it to flower again next year. This can be a problem since it loves cool, short days. For this reason, Kalanchoe blossfeldiana is often cared for as an annual. Many people just allow it to have its months of bloom time and discard it. The plant is cold hardy only in zones 10 and 11, so it can’t be planted outdoors after the flowers have faded and expect it to over winter, so what is one to do with it? Getting this pretty succulent to re-bloom is possible but does require some skill. Read on for tips to extend your bloom time. Kalanchoes, like Poinsettias and a few other holiday plants, are photoperiodic. This means that they react to low light days by setting buds. In nature, kalanchoes will flower in early spring. This happens after a period of low light shorter days. To get your plant to re-bloom next year, you will need to simulate natural winter light conditions in your home for a period of six weeks. This can be a challenge because of artificial lighting indoors. During this period of 6 weeks, put your plant into complete darkness for 14 hours a day and then bring it back to bright light for 10 hours a day. This might seem impossible for most homes, but it really only means using a closet or other dark room for the 14 hours to achieve the darkness. Another way to achieve the darkness requirement is to have a box handy that is large enough to slip over the top of the plant. Just pop it over each night for 14 hours and remove the next day. If you do this for a period of 6 weeks, you will encourage new flower buds to form. At this time, bring your plant back into normal light conditions and begin watering again. Be careful of temperatures during this period. If they go too low, this can prevent buds from forming. This is exactly the same process that you use to get a poinsettia or Christmas cactus to bloom again each year. It requires some discipline and a tight schedule but is worth it to get the pretty flowers that you know will last for another few months to come. If you do this process about 6 weeks before the holidays, you’l have a beautifully flowering plant at Christmas time next year that will keep its cheery color all through the following winter months! 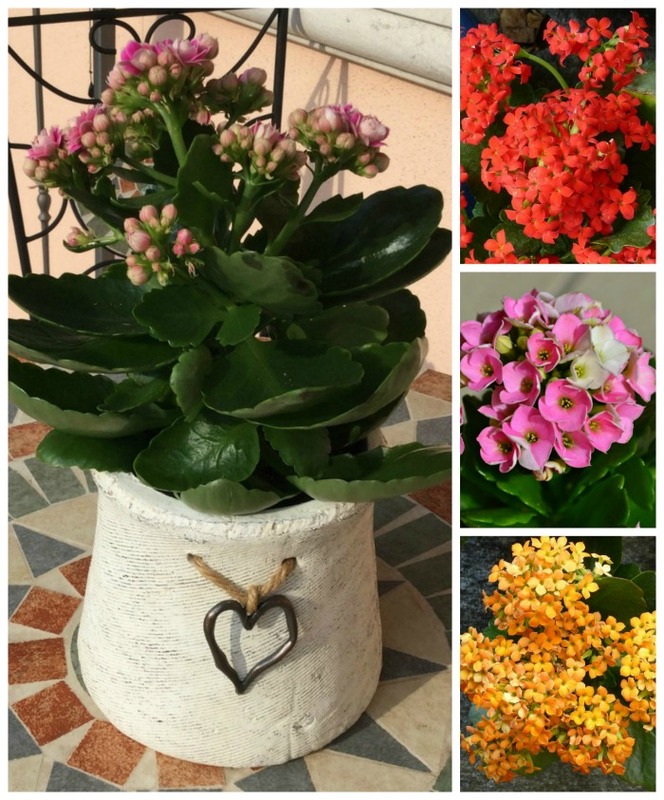 Would you like a remind of these tips for Kalanchoe Blossfeldiana care? Just pin this image to one of your house plant boards on Pinterest so that you can easily find it later. 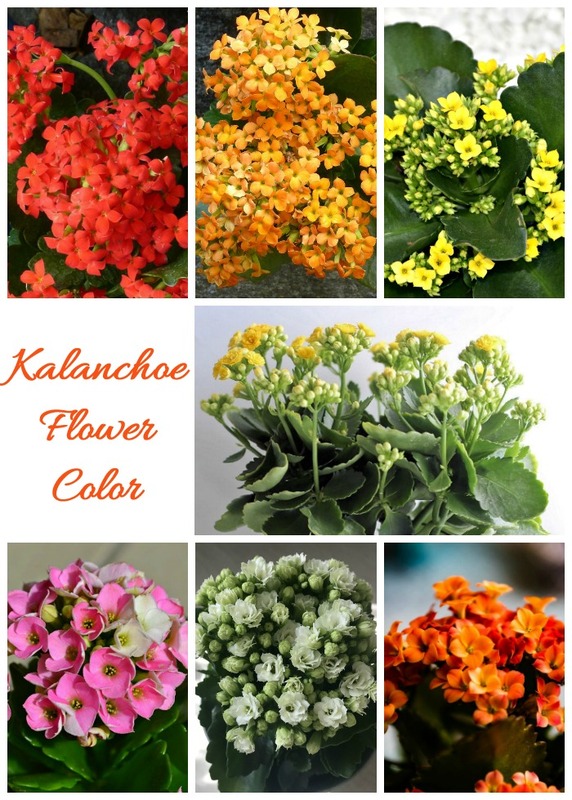 Kalanchoe is a long blooming plant that is found around the holidays and in the winter months in garden centers. These tips will help you care for it and make it re flower next year. Temperature: 65-75 degrees. No lower than 50 degrees F.
Propagation: Leaf and stem cuttings. Also pot up offsets. To get a kalanchoe to re-bloom, hold off on watering and give the plant 14 hours of darkness each day and 10 lours of light. A closet, dark room or box over the plant will do this.